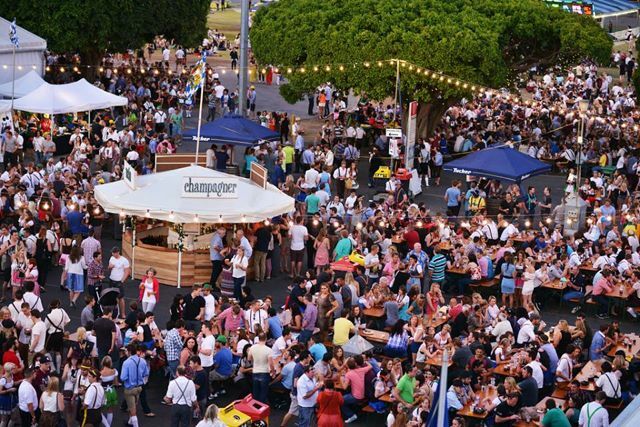 With a record Saturday crowd of 14,000+ people, Oktoberfest Brisbane was one of the most entertaining days I’ve had out in ages. 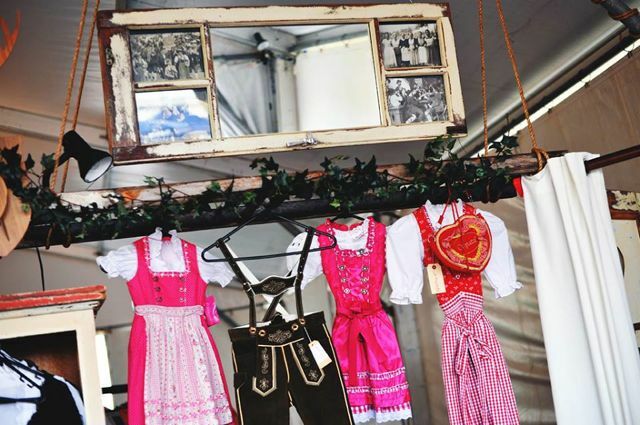 Walking into the RNA Showground entrance the atmosphere of Oktoberfest Brisbane was abuzz with German tradition from the get go. 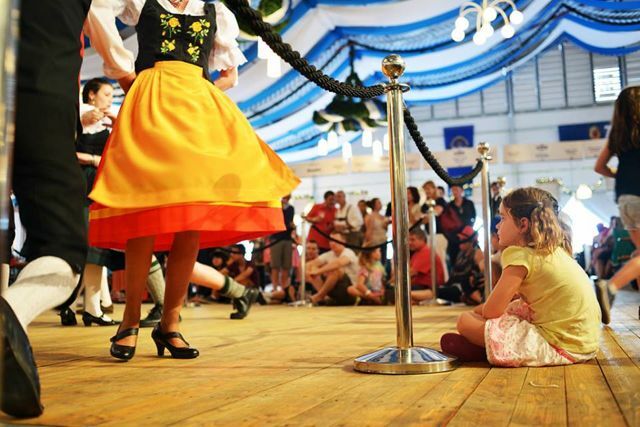 If you weren’t dressed in a traditional German Dirndl or Lederhosen and there wasn’t a pretzel or Bratwurst roll in your hand, you my friend were in the wrong place. We in Australia love our Beer Gardens and in Germany they too love their Biergartens. 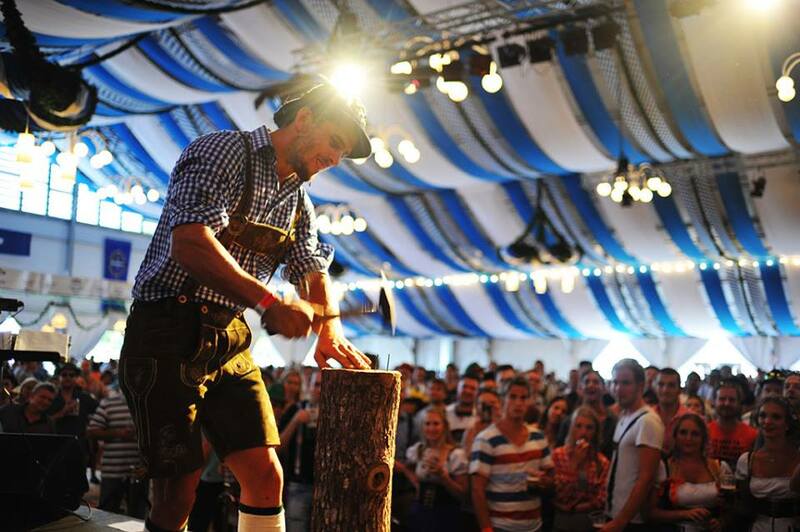 In Munich and any Bavarian Biergarten, the traditional atmosphere includes big old trees (ours were RNA’s iconic Moreton Bay figs) dressed with fairy-lit lights at night, traditional wooden tables / benches on the grass and strains of Oompah-music and Brisbane Oktoberfest did not disappoint! 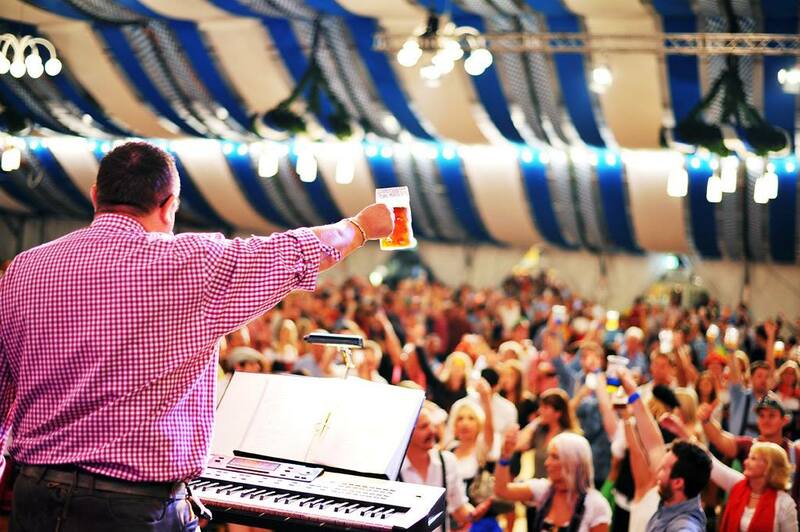 Kicking off the festive fun was a variety of main acts inside the Oktoberfest Tent Stage. 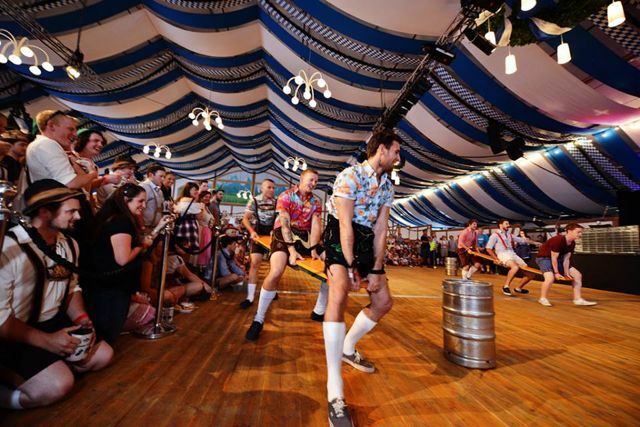 The illustrious Bavarian Strongman competition had the crowd cheering, Heidi the Yodeller and her vocal dexterity amazed all, and the Alpenrosen Dance Group really got the room warmed up. 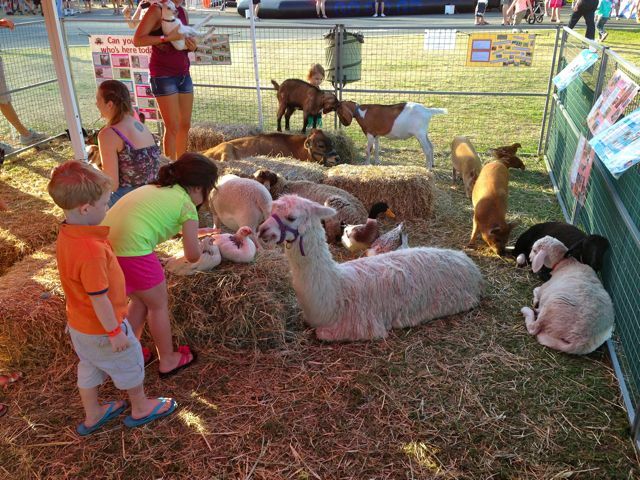 Showcasing German-focussed services and products and live demonstrations, the German Connections Stage had heaps of hands-on fun – you could even try milking a cow! 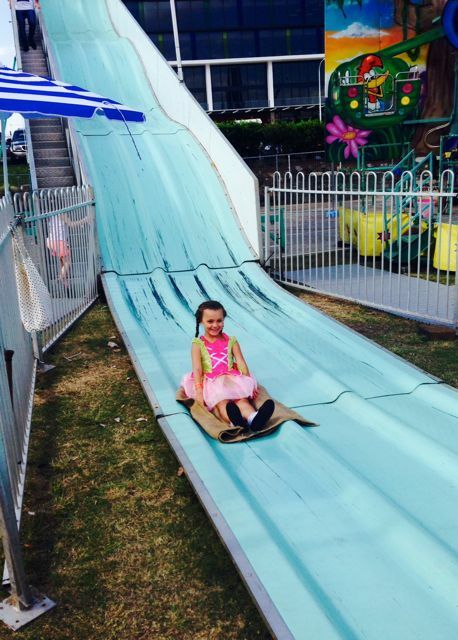 If you thought Oktoberfest Brisbane wasn’t fit for kids you would be mistaken, for they had an entire Fun Zone section dedicated to them. 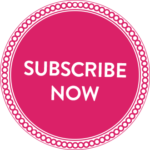 Packed with entertainment, children could get involved in free balloon art with the Balloon Dude, magic shows, face painting, rides, and my personal favourite – the Farmbillies Animal Farm. The QFRS Fire Truck even came in to visit. 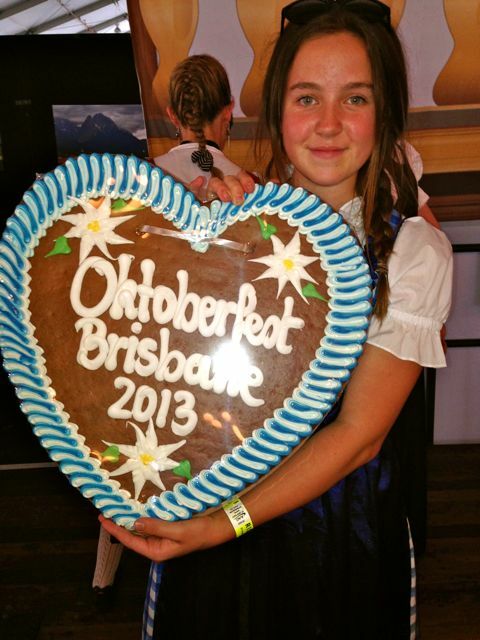 Did you know that Australia’s largest German language schools’ event is Oktoberfest Brisbane?! 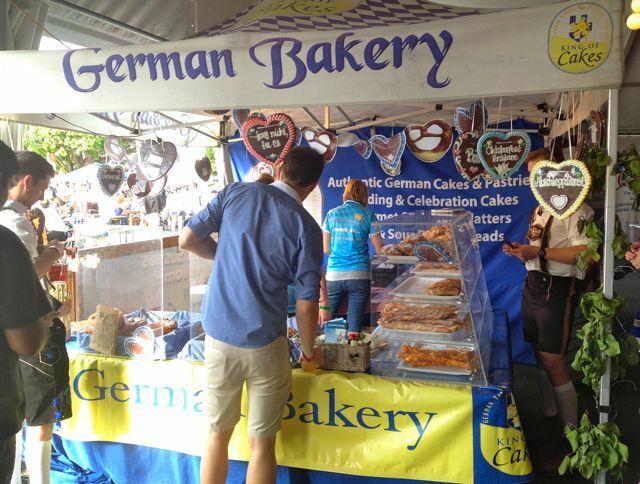 Lebkuchenherzen (Gingerbread hearts) specially made in Germany for Oktoberfest Brisbane, along with German educational material are distributed to all students and teachers. 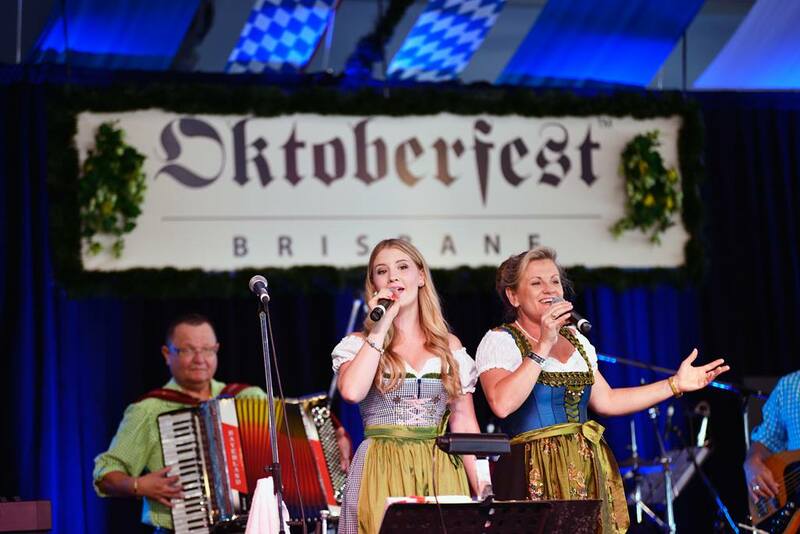 With no other Oktoberfest in Australia including a schools’ event of this magnitude, Oktoberfest Brisbane caters for 2,000 students and teachers. 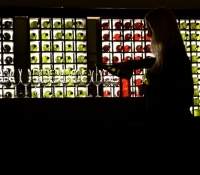 As the evening rolled-in, people drinking steins started multiplying and the Münchner Buam band (flown-in direct from Bavaria) played on. 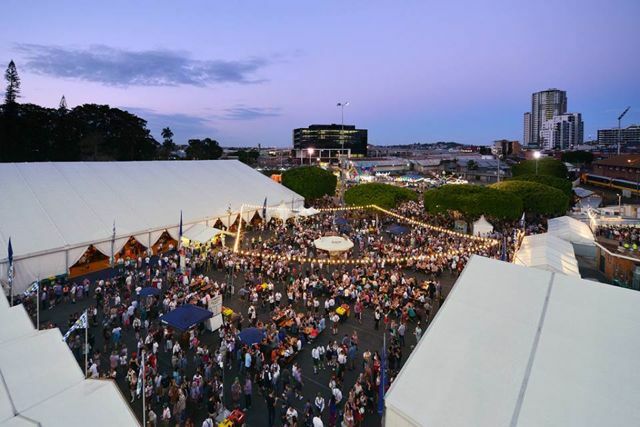 As a guest of Oktoberfest Brisbane, I was lucky enough to sit in the raised VIP area known as the Bavarian Corner (Bayrisches Eck). 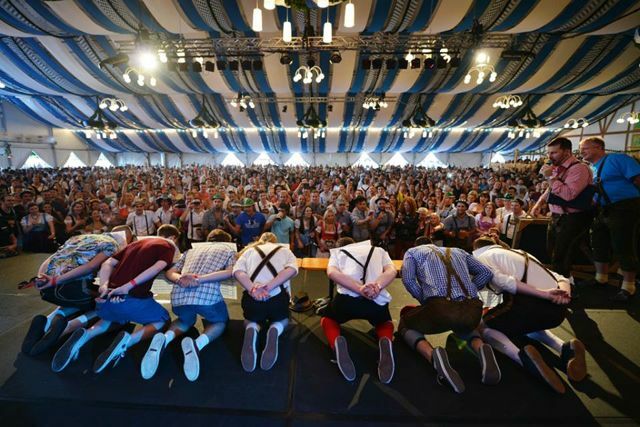 With wooden partition fencing replicating Munich’s Oktoberfest Tents, I was positioned perfectly to watch on as the Münchner Buam played to the adoring crowd. 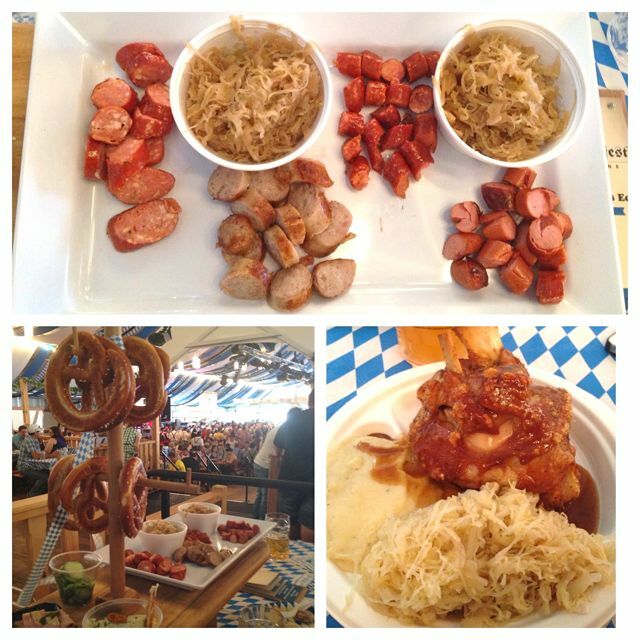 Of course the best bit about Oktoberfest has to be the GERMAN FOOD! 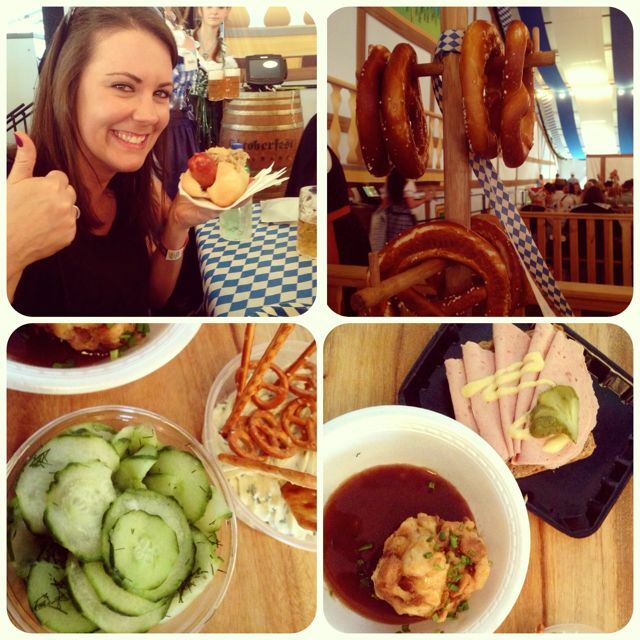 Only typical German folk festival food is on offer at Oktoberfest Brisbane so no yucky processed pizzas, nachos or dagwood dogs here! To keep with the German tradition, all food stallholders are German/Austrian or with German ancestry/connections which I thought was fantastic. 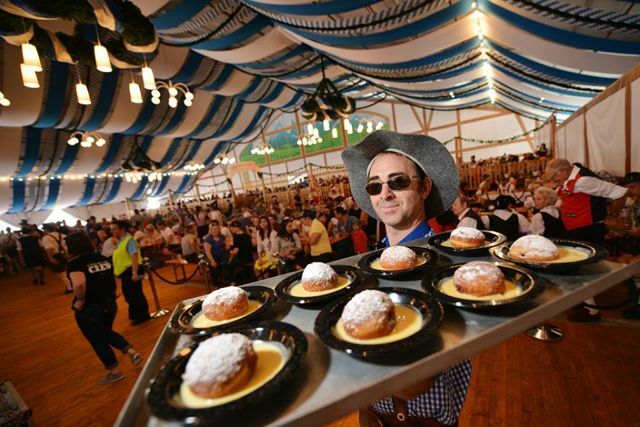 The first item I ordered off the menu – Cheese Kransky with sauerkraut in a roll and a stein of Tucher (Nuremberg). Specially crafted by a 340 year-old Bavarian brewery, this Lager isn’t available anywhere else in the world! Next a traditional German-style food platter came out fit with breads, pretzels and warm and cold delicacies on specially crafted wooden serving platters. And my favourite of the day – German dumpling with gravy! 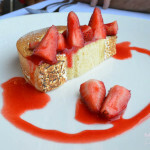 Oh wait, perhaps it was the Pork Knuckle – What can I say, I loved all of it! 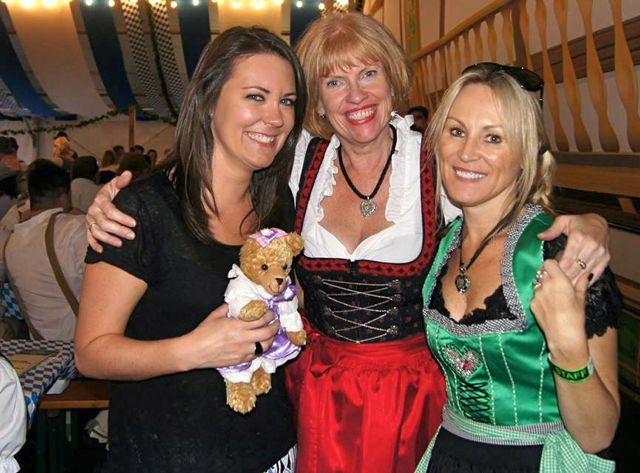 I admit Oktoberfest conjured up images of beer, singing, dancing and more beer, and I was under the impression that although it’s loads of fun for us adults, it wouldn’t be ideal for families. 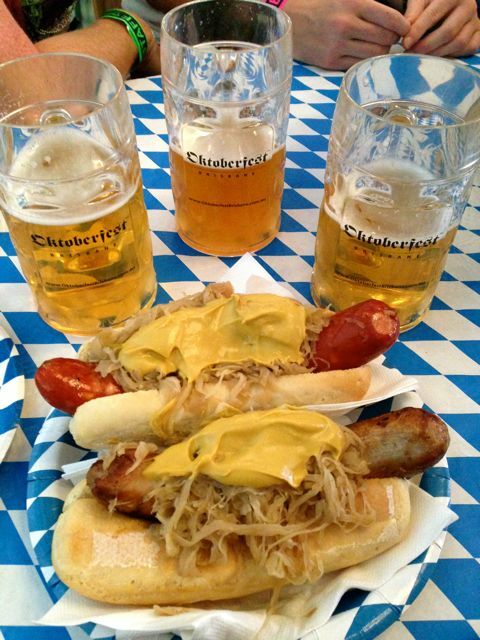 However, after attending this year’s Oktoberfest Brisbane, I realise now there is a so much more on offer than just that. 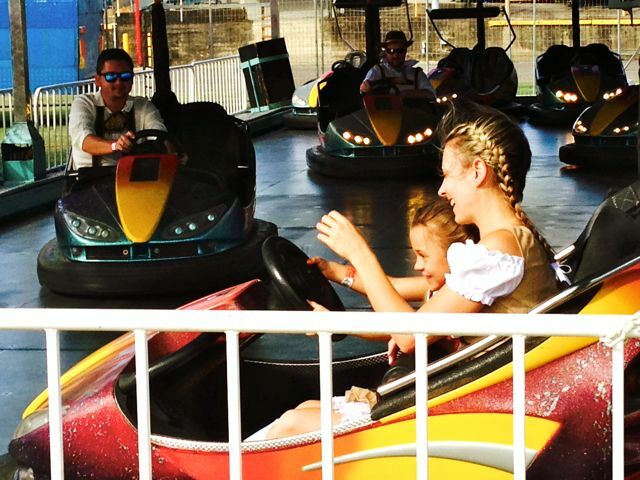 With such a cross-section of community and loads of smiling faces from both the young and old, I know now that Oktoberfest Brisbane really is for everyone! 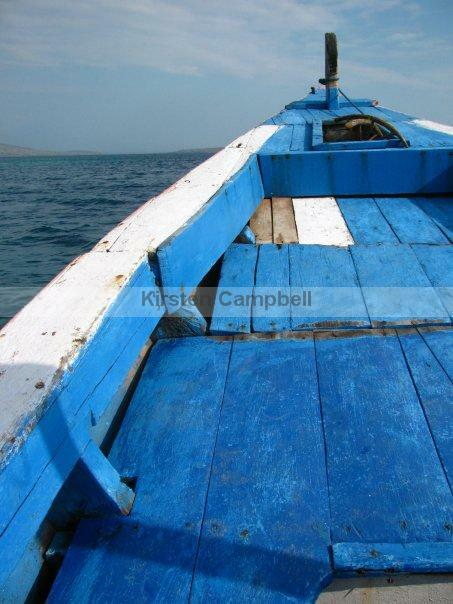 Auf Wiedersehen. I like to lay in the grass and look up at the sky. 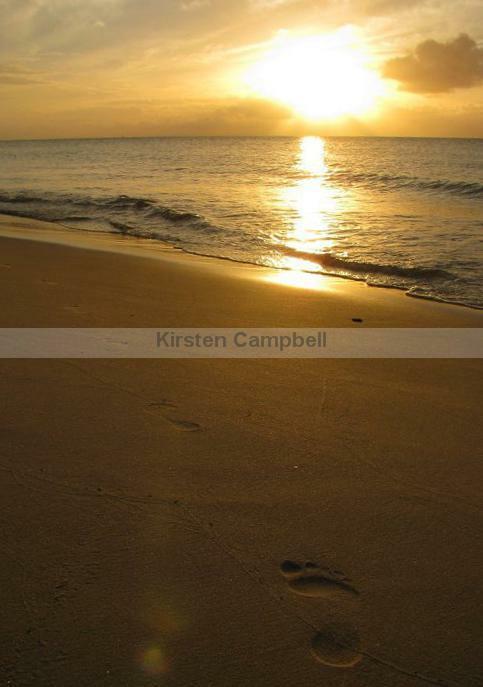 and I wave up at it.